“What? !” I hear you say, “But Sean, today is THURSDAY. You’re a day late!” Well, sure I am. But it’s my show, so my rules and stuff. And besides, good things take time, so the extra day only makes it sweeter. Speaking of good things, I’ve been meaning to return to Tim Gibson’s Moth City for a while. It was one of my first Webcomic Wednesdays I ever covered and I loved it then. So this week, just in time for the Comixology release, I decided to bring the spotlight back to it once again. So welcome back to Moth City. 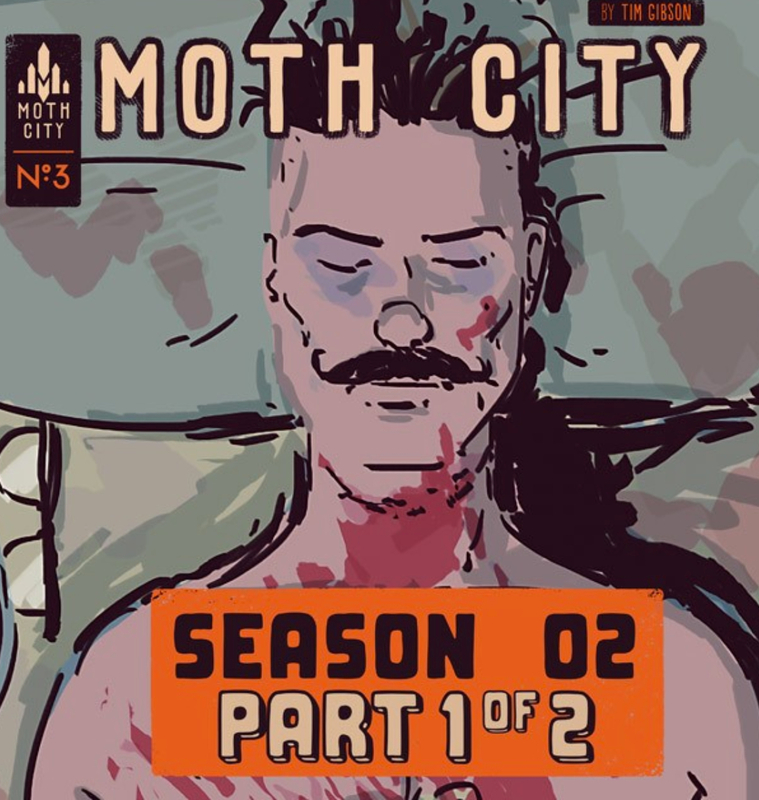 Moth City is very much as you knew it from last time. The excellent use of digital space returns, with panels making themselves before your eyes. What’s new is that Gibson has taken to tackling a few more action scenes this time around and it looks great. The sense of movement as the panels switch between each other is great – no longer are you relegated to seeing the entire fight at once. Speaking of action, the story has started to take on a different approach. Following the cliffhanger at the end of season one, it seems to have picked up on the small strands of horror and begun to run with them. Certain events are transpiring to ensure something bad is going to happen. We only get a sense of what is really to come, but without spoiling anything – it’s looking good, and it’s looking to go bad spectacularly. 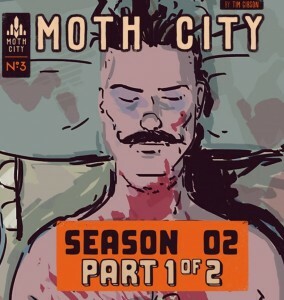 You can check out Moth City here, on Thrillbent, and on Comixology. It’s shaping up to be something that horror fans should be keeping an eye on and it is a lot of fun. Have any webcomics you want me to check out? Let me know on my twitter @Pipes815, or send me a message via our contact form.